Build your own bouldering wall! 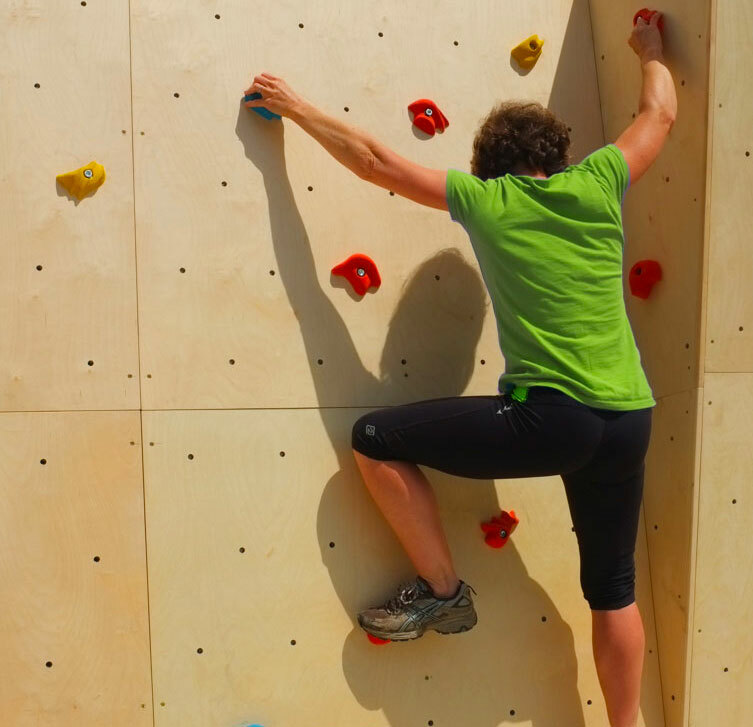 Climb-A-wall anywhere with our new birch plywood pre-drilled boards; each climbing wall panel is finished in a clear lacquer and ready for you to build your own bouldering wall. Compact climbing boards… perfect just about anywhere! Our climbing boards are small and easy to handle … making them simple to assemble and adaptable to fit into to most spaces. Choose from complete panel kits complete with 33 pre-drilled grid holes and pre-installed M10 t-nuts and 8 mixed holds, or just the panels with t-nuts or just buy extra holds! It couldn’t be easier to assemble your own custom designed wall to fit the shape and space you have in your home, garden, garage or school.